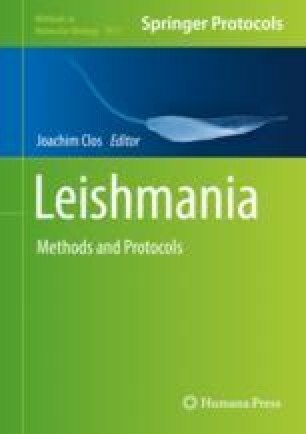 Visceral leishmaniasis (VL) is mainly caused by Leishmania donovani (India and East Africa), and Leishmania infantum (Mediterranean Basin and South America) infections. Although murine models of visceral infection lack the clinicopathological aspects of VL in humans, they have been proven useful at advancing our knowledge in the Leishmania field. Indeed, these models have been used not only to better understand the pathophysiology of the infection but also in drug and vaccine development. This chapter focuses on the protocols used to experimentally infect mice and to quantify parasite burdens in mice infected with L. infantum using limiting dilution methodology of target organs and whole-mouse in vivo imaging. We apologize to many researchers in this field whose work we have not been able to cite directly owing to space limitation. This work was supported by funds from the Fundação para a Ciência e Tecnologia (FCT)/Ministério da Educação e Ciência (MEC) cofunded by the European Regional Development Fund (FEDER) under the Partnership agreement PT2020, through the Research Unit No.4293. This work also received funds from project Norte-01-0145-FEDER-000012—Structured program on bioengineered therapies for infectious diseases and tissue regeneration, supported by Norte Portugal Regional Operational Programme (NORTE 2020), under the PORTUGAL 2020 Partnership Agreement, through the FEDER and the project POCI-01-0145-FEDER-031013 financed by Portugal 2020, under the Programa Operacional Competitividade e Internacionalização (COMPETE 2020). J.T. is an Investigator FCT funded by National funds through FCT and cofunded through European Social Fund within the Human Potential Operating Programme.